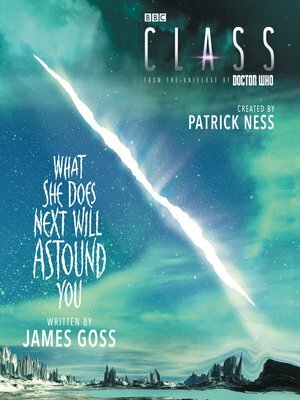 One of three thrilling companion novels set in the universe of the new Doctor Who spin-off show, Class, created by #1 New York Times bestselling novelist Patrick Ness, author of The Rest of Us Just Live Here and the Carnegie Medal-winning A Monster Calls. "There's no such thing as oversharing"...right? As April's fragile group of friends starts to fracture, she decides she's going to uncover the truth behind this site herself. Whatever it takes, whomever she hurts, April's going to win. But then, to her horror, she wakes up and finds her whole world is changed.